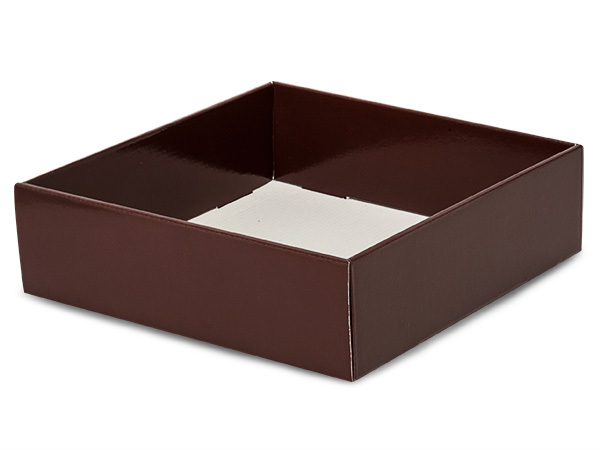 These medium square cardboard trays have chocolate brown gloss finish. They measure 10x10x3" when fully assembled. Gift baskets are easy to put together and display in these shallow containers. When paired with shreds, they are perfect for tall displays or for holding your gourmet meat and cheese trays.